I would like to start off this review by saying that The Selection was one of the most anticipated books of 2012 for me. I mean how could it not with that cover and it being dystopian? However I have heard some negative reviews for it so I started it with very low expectations. This, unfortunately, did nothing to keep the disappointment from happening. This review will be slightly different and long since I have a lot of pent up frustration to let out. First of all, can we discuss the names of the characters? America Singer? To make it even more cliché, she IS actually a singer. We’ve also got Tiny and Tuesday and me trying to figure out that WHY, when you have the chance to name your characters, you would use these names? I might understand how the author was looking for uniqueness, but unfortunately that was not what happened. As for the plot, oh boy, I don’t understand why the book is classified as dystopian? And why it is written that this is “The Bachelor meets The Hunger Games”? How in the world is this ANYTHING like The Hunger Games? You just have a world where people are classified into social classes (from one to nine) and their work and financial life depends on that. How is this any different from how life is in our own world? Other than adding actual classification. That is the only thing that is remotely dystopian like. I felt that the writer did not know what to make of this book. First with the dystopian label, and then with the contemporary and realistic TV show theme, and then adding in rebel attacks to a kingdom. I just didn’t know what direction the writer wanted, it felt like she wanted to include all those themes but with a 300-page book, it’s not possible. With so many themes in the book, the themes can’t be explored deeply, which is why we get small snippets from each theme. As for the characters, I did like America however her feelings were all over the place. First she’s in love with her boyfriend, then when she’s in The Selection, she point blank tells the prince she has no intention of loving or marrying him, then only several chapters later, she likes him and tells him he has a chance! I mean really? Didn’t you just 5 minutes ago say you would never love him? Also, her and the prince strike a deal and I’m like “WHAT JUST HAPPENED?” and WHY does the Prince speak in old English? I felt like Mr. Darcy was transported into this book, where everyone speaks normal English except him. I didn’t like how naïve he is, how he didn’t know that people in classes six and lower are suffering. Why wouldn’t you know that? Isn’t this the most important system in your country? His surprise that people went days without eating just dumbfounded me. HE’S going to end up as the king? Wow, this country is definitely screwed. The romance felt a bit too superficial and I really didn’t like it. The ending, wow that ending was the most anti-climatic ending I’ve read recently. It just suddenly ends. I even flipped to the next page thinking there’s more, because I got nothing from this book. No revelations, no significant complications and I just really wanted to get something but I really got nothing. 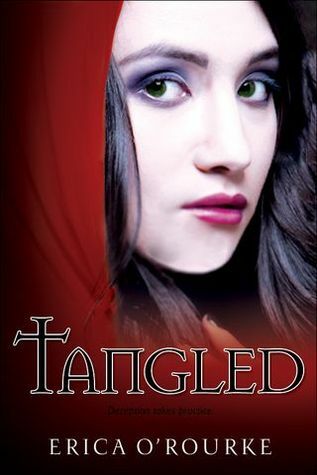 I kept on reading hoping it would get better because I actually did like the author’s writing style, but unfortunately, everything in between was a disappointment. I am giving it two stars because I did enjoy it on some level however I had too many issues with it to go above a two star rating. You said it!!! I think that I liked it a tad more than you though. WTF Are You Reading? 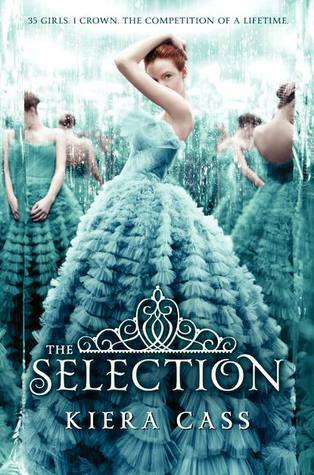 : My Heart Will Always Pick "The Selection"
Wow, I've noticed this is a love it or hate it book. Personally I loved it. But it really seems to be split pretty evenly between those that enjoyed it and those that didn't. awww yeah I'll give this a shot but you pointed out a couple thing I know will bother me. Such as the names and America and the prince's relationship. And really he should know his country if he will be king. I can understand your point that it's not a typical dystopian but it does have dystopian elements to it with the whole caste system etc I thought it was more YA aimed but I did actually quite enjoy it! It reminded me more of Matched by Ally Condie than Hunger Games though! I think that its one of those books you either love it/like it or hate it! Bummer you didn't like this one! I haven't read it yet but am dying to... I'm interested now to see if I'll like it or not...because I always assumed I would...but maybe not. You brought up points that usually frustrate me in a book. I was on the fence about reading this, but now I'm not so sure I want to go through readers' regret. Great review! This was one of my most anticipated reads too but after all the negative review, i'm not sure what I'll make of it. Hopefully I can read it soon to see if it's for me. It's a shame this didn't live up to your expectations! Great review! Completely understand your point... I feel this story is not thigt enough, and the distopian part felt like marketing. Thanks for sharing your thoughts!